January is such an exciting time for the couples who ‘said yes’ over the last couple of weeks, so now’s the time to share details of one of our celebrity weddings from 2016. Each AC couple is special to us; their weddings are often private, and always unique, however, the wedding of Jodie Henson to the Harlequins and England rugby player Danny Care was featured in OK magazine in summer 2016. Having already done much of the planning themselves, Jodie and Danny asked The AC was asked to fine-tune their ideas and add a few AC finishing touches. This high profile couple wanted to offer guests food that was different from the norm, so our teams provided unusual, interesting and delicious food and drink with our special AC twist. Of course, we also ensured that everything ran smoothly on the day. Where was it held? 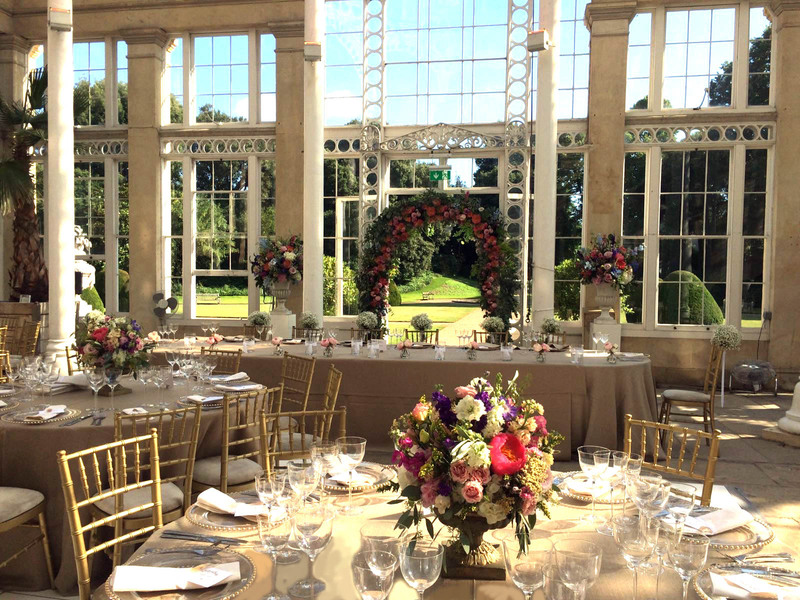 After a church ceremony in Cobham, Surrey, the couple arrived at Syon House – the London home of the Duke and Duchess of Northumberland for their wedding breakfast and party. The venue looked stunning and was the perfect backdrop for their relaxed fun filled wedding. Close family and friends were joined by a sporty and glittering array of celebrity guests. Jodie on planning the day: ‘Luckily Ruth and her team from the Admirable Crichton will be there on the day to take over and put us at ease’. Danny on AC food: ‘When we went for the food tasting we just loved the beef and ale pie. I know it’s a bit Northern, but it’s what we like’. The much-loved pie was preceded by Chicken liver parfait with pear compote, baby leaves and sourdough croutons and was followed by pudding buffet on the lawns outside. And after the wedding: On the night the bride and groom were full of praise for the AC team and many of the groom’s friends took to twitter to say what a fabulous party it had been.